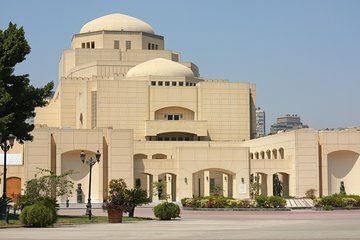 Your expert local guide will meet you for this downtown Cairo half-day tour with Egyptian dinner in the center of the city and drive you to Zemalek Island, where you’ll spend the late afternoon exploring the best of this scenic city. Journey into the historical backstreets and bustling boulevards as you follow your guide on this informative walking tour. Wander through the Attabah district and stroll past the Old Operate Square as you listen to your guide share insider info on Cairo. Cross the Nile River, where scenic views lead to the site of the 2011 Egyptian Revolution in Liberation Square (Midan Tahrir). Stationed among 19 and 20th century buildings, this historical site proved the birthplace of freedom in recent times. Your guide will point out local graffiti and explain its significance. Take in street theater as you wander through this popular spot for locals and foreigners to gather. At the end of your tour, make your way to a local Egyptian restaurant, where you’ll enjoy traditional dishes like koshari (rice, lentils, chili sauce and onions) or falafel. Your friendly guide will return you with a full belly to your original starting point where you’ll depart with a deeper understanding of the culture, history and city sites that make Cairo a destination for travelers. Marwa (?) was polite and articulate, as well as warmly humorous. She took good care of our group, especially one jet-lagged member. Although I had been driven around Cairo for two days prior to this tour, being on the ground with a great guide helped me to get fully oriented. She covered historical as well as contemporary aspects. One of the best tours I’ve had in Egypt! We really enjoyed walking down the streets of Cairo and looking at beautiful sights with our tour guide. The tour guide and driver were very kind people. Our tour guide led the way and did a great job with her explanations as we walked. We ended the day with a delicious Middle Eastern meal at a restaurant in downtown Cairo. Dalia was a great tour guide! We did this tour our first day in Cairo. She was very knowledgeable and answered all our questions She also had a lot of suggestions for things we could do while in Cairo. We enjoyed a tasty dinner along with a dessert. She also made sure we got back to our hotel safely. I highly recommend this tour! Our tour guide Dalliah was wonderful! She is kind, patient and very thorough. We had an amazing time. We ate a very tasty Egyptian dish with ice cream for dessert. We walked around the entire downtown and go lots of information on the city's history. The tour and guide met expectations. The sites were well detailed, the guide was proficient in English, and the pace was about right. I would go again with the company and guide Dhalia. 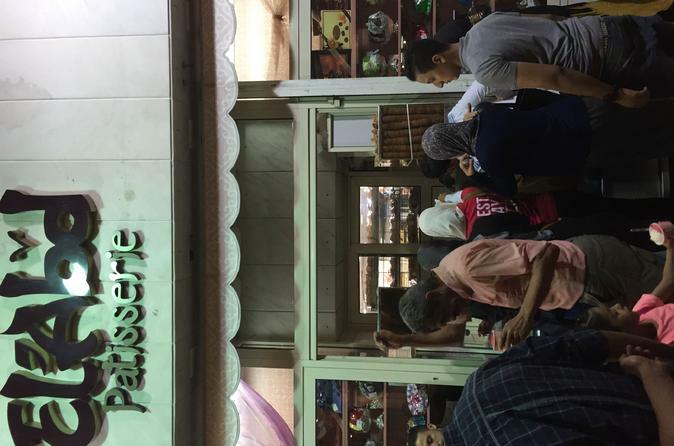 This was a walking tour around downtown Cairo and around revolution square. I loved this tour so much!! My guide, Dalia Mansour, was very knowledgeable about Cairo and it's fascinating history. She was so much fun to be with. We walked through several streets and viewed powerful street art on the walls depicting important events in Cairo's recent revolutionary history. We walked through the downtown area where the locals shop. We stopped at a wonderful local eatery know for a popular local Egyptian food called Koshary. I loved the dish and the whole surrounding experience of it. Afterwards, we walked to a local bakery and ice cream shop for ice cream. It was the best evening in Cairo! So worth it!!! Must-do!! Hoda from Urban Adventures is as her name foretells, an excellent guide. An Egyptologist, her history, knowledge and insight were not only entertaining but enlightening. We felt secure and empowered to tackle Cairo on our own since the city is safe, tourist friendly and ready for adventures. Unbedingt empfehlenswert ! Ein Fußweg über den berühmten Tahrir-Platz und zu den Stätten der Revolution 2011, wo noch einzelne Graffitis aus jener Zeit zu betrachten sind, danach geht es durch Gassen und Straßen der Innenstadt, deren Bauten man noch die Formensprache der englischen und französischen Herrschaft vergangener Zeiten ansieht. Vorbei am berühmten Cafe Riche - unbedingt einkehren ! - und einer leider geschlossenen, aber früher stadtbekannten Eisdiele gelangt man mit Hilfe des sehr kundigen und freundlichen Führers zu einem Lokal außerhalb der Touristenzonen, wo es ausschließlich das ägyptische Nationalgericht aus Nudeln, Reis und Röstzwiebeln gibt, das mit scharfer Tomatensoße gegessen wird. Sehr schmackhaft ! Anschließend noch ein kleiner Weg durchs nächtlich- quirlige Kairo. Jederzeit wieder ! La exercusion y la guia fue buenisima lo unico que recomiendo es que lo ofrescan mas temprano el tour.